Australia’s had a pretty rocky path when it comes to tackling the effects of climate change. Our response has been greatly influenced by media that have adopted a less than positive message for both sides of the argument. This has no doubt blemished public opinion on a topic that is not a debatable matter. With the World turning its attention to Climate Talks in Paris as part of the COP21 (21st Conference of the Parties), the big question is, can the 190 nations come to a legally binding agreement on how to tackle climate change and keep global warming below 2°C? COP21 will be the first time in over 20 years that all the nations of the world come together to sign a legally binding agreement on climate change. We wanted to reflect on why, in 2015, things look a little different, which gives us hope about achieving the desired outcome. In 2009, which was the last time a legally binding agreement was set to be reached at COP15 in Copenhagen, the effects of climate change on humans was the equivalent of a frog slowly boiling in water. Many developing countries had experienced significant loss as a result of climate change, however the effects were not as obvious in developed countries. Since 2009, the impacts have become a lot more severe, from serious floods in the UK, a raging drought across California, USA, record temperatures in Australia and smog pollution in China that poses deadly risks to human life. Climate change denial still exists. However, the existence of human-cause climate change is much less debated in 2015 than it was even just five years ago. The 2015 Lowy Institute Poll shows that since 2012, more Australian’s view climate change as a serious threat that should be acted on with urgency. It’s only since the industrial revolution that we have gone from a society that shares to one in which we live independently from those around us. We are untrained in collaboration. However the growth of the sharing economy is one example of how we are starting to open ourselves up a little more to those around us. The same is happening with other big global issues such as terrorism where discussions are leaning towards nations uniting. Can we expect the same when it comes to tackling the threat of climate change? Regardless of attitudes towards climate change, public opinion is showing pro-renewables is the future, and the technology to make this truly viable is stacking up. We all got excited at the launch of the new Tesla Powerwall earlier this year, which has the potential for every household to go off grid. Google is also leading the path for renewables with their Project Sunroof, which uses their mapping software to tell you how much energy you can generate from having solar on your roof. The latest Australian Opinion Poll also shows that Australian’s believe solar power will be our primary source of energy in 10 years’ time over any other source of energy. Finally, one of the most important players in governments taking action on climate change are businesses. Historically they haven't been at the forefront of the debate, but recent UN efforts to include the voice of businesses to help shape the Sustainable Development Goals (SDG’s) have put organisations front and centre in tackling the issue and influencing policy. But it’s not just politics that have put climate change on the agenda. Businesses are seeing economic opportunities of working towards a low carbon economy and their business model is being shaped by increasing consumer demand for transparency and responsibility, meaning consumers are in the driving seat for influencing change. 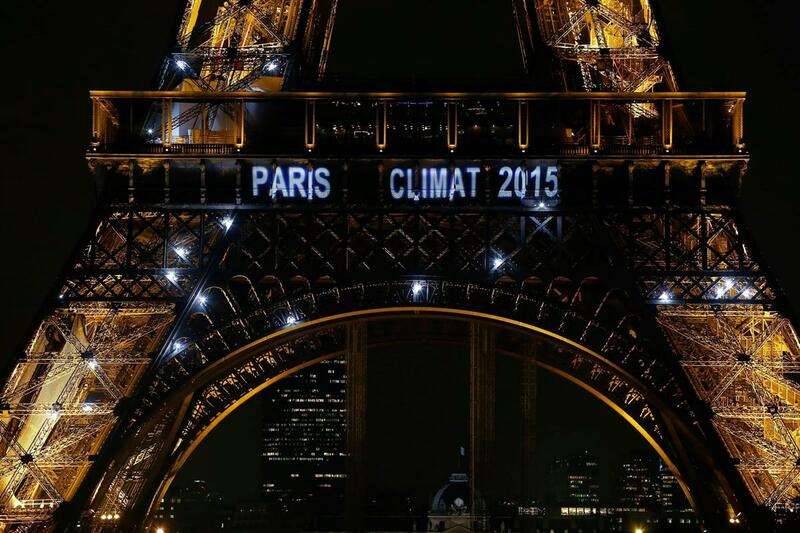 Want to read up on the Paris Climate Talks COP21? Here are some resources to help you stay informed.